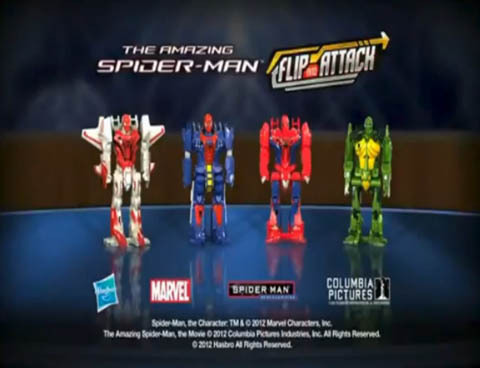 HKTOYSRUS has uploaded some new Amazing Spider-Man Toy Commercials. Check them out below. Discuss on the Toyark Forums› Views: 5429 › Credit: NIBMRatchet of the Toyark Forums! thanks for sharing with us ok whats with web shooters only thing i see differnt about them is style of the glove itself fro mpast 3 spidey films light up eyes would exaplin why he has yellow eyes in film if has that in his mask, but lizard no way if Sam Raimi where to behind this film lizard may actually look like lizard not human godzilla sam got venom right on with his look. this should be called amazing wastes of plastic.....the t-crotches are insta-nobuys and the reduction in arcticulation is just a stupendously stupid move on hasbrow's part. 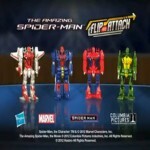 stupid mkove hasbro...way too stupid.